New month, new steals to score! 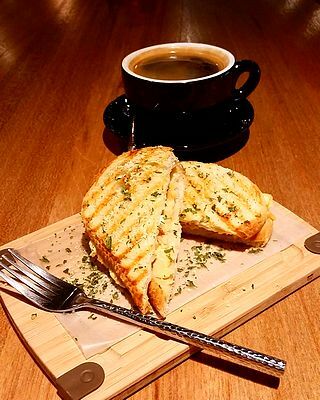 (SPOT.ph) Welcome the summer months with these food deals! Stay hydrated and refreshed this summer with free lemonade and two-for-one drinks, munch on some unlimited chicken, or cool down with buy-one-get-one ice cream. 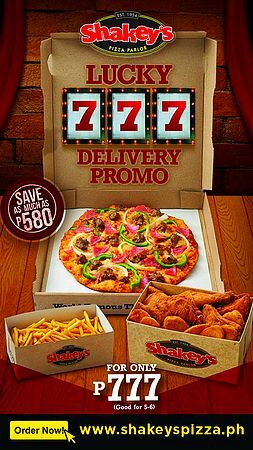 Get all of your Shakey's favorites for just P777 this month. Dig into a bundle of pizza, chicken, mojos, and fries. This deal is perfect for the gang and saves you as much as P580 (yup, believe it). Make sure to take advantage of this promo, which is exclusive to deliveries, and valid from Monday to Thursday until March 29. 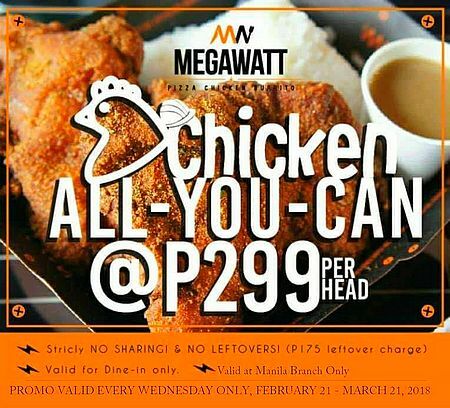 Good news for chicken lovers: Unlimited chicken is back at Megawatt! For just P299, munch on all the juicy, boneless chicken thighs that you can eat. Plus, it comes with unlimited servings of their signature garlic overload sauce and gravy. This promo is valid every Wednesday only at the Manila branch until March 21. Megawatt is at Fusebox Food Park, 3/F Asturias Street corner Laong-Laan Street, Manila. For more information, log on to Megawatt's Facebook page. 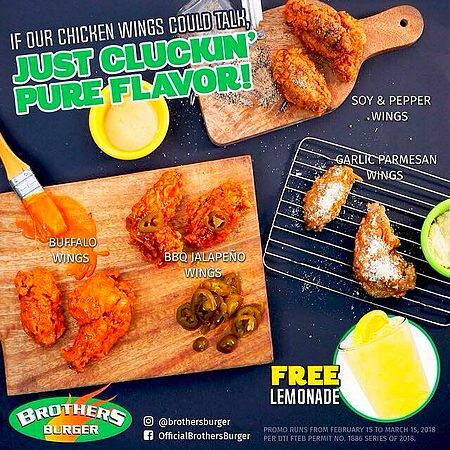 Get a free lemonade when you order any of Brothers Burger’s chicken wings. Take your pick from the following flavors: Buffalo, Garlic Parmesan, BBQ Jalapeño, and Soy and Pepper. This promo runs until March 15. 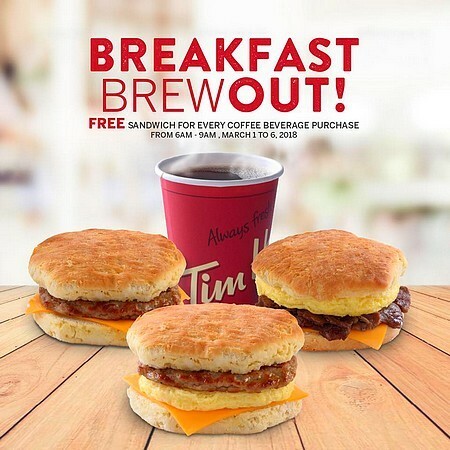 Tim Hortons believes that it's important to start your day with a power breakfast, so they're treating you to a free breakfast sandwich for every coffee beverage that you get. Choose from Sausage and Cheese Biscuit, Steak and Egg Biscuit, or Sausage & Egg Biscuit. Drop by anytime from 6 a.m. to 9 a.m. until March 6. 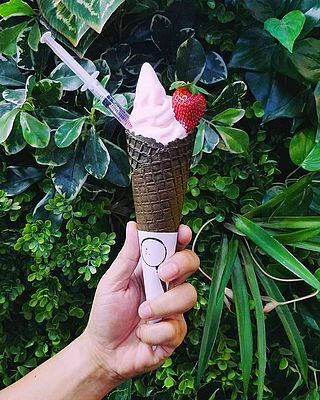 Drag your BFF to The Lost Bread and catch their Soft-Serve Hour! Order one soft-serve cone and get another one for free when you drop by from 7 p.m. to 8 p.m. until March 11. Perfect for cooling down in this hot weather! What's better than one glass of beer? Two glasses! 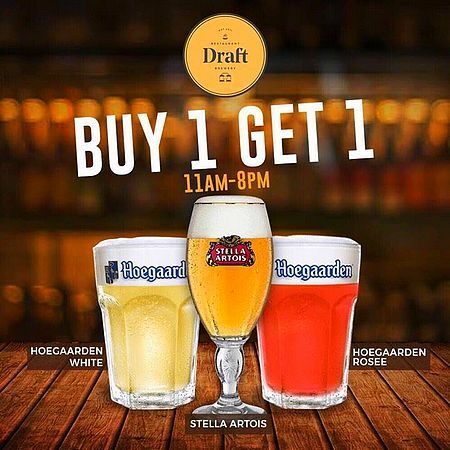 Grab one glass of Hoegaarden, Hoegaarden Rosèe, or Stella Artois from Draft between 11 a.m. and 8 p.m. and get another one for free. Draft is at Greenbelt 2, Makati City; Molito Commercial Complex, Alabang, Muntinlupa City; Ayala Malls the 30th, Meralco Avenue, Pasig City; and Power Plant Mall, Rockwell, Makati City. For more information, log on to Draft's Facebook page. 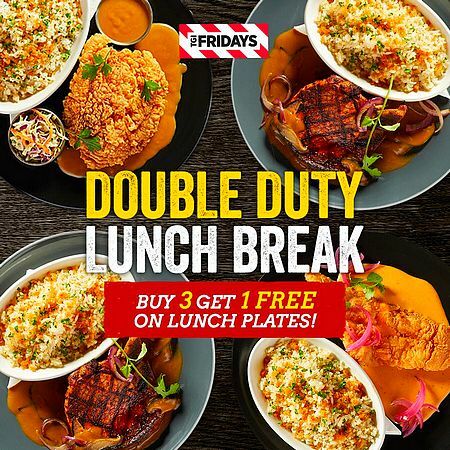 Squeeze in a double-date lunch break in the middle of your work day with TGIFridays' Double Duty Lunch Break. Just buy three lunch plates and get another one for free. Choices include Country Chicken Cutlet, Grilled Blackened Chops, and Fish Queso. This offer is available on weekdays until 4 p.m. and valid until March 9. See a list of TGIFridays branches. For more information, log on to TGIFridays Facebook page. How about inasal for merienda? 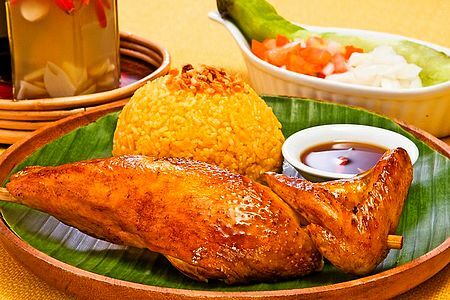 You’re going to want to head over to Bacolod Chicken Inasal in the afternoon to enjoy a 20% discount on your meal! This offer is valid on weekdays, from 2:30 p.m. to 5:30 p.m., valid for dine-in transactions only. See a list of Bacolod Chicken Inasal branches. For more information, log on to Bacolod Chicken Inasal's Facebook page. 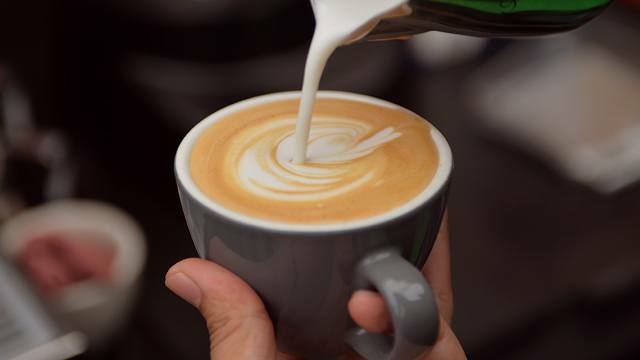 Drink away the Monday blues at Butamaru. 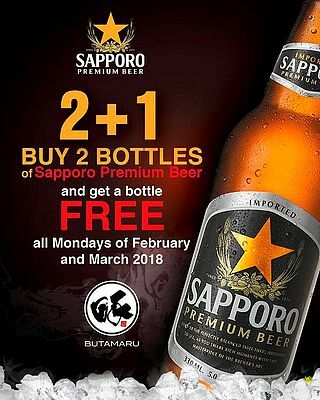 Buy two bottles of Sapporo Premium Beer and get another bottle for free. Perfect for pairing with your favorite bowl of ramen. This promo is valid on all Mondays of March. Butamaru is at G/F Ortigas Technopoint One (Upper Deck), Ortigas Home Depot, Julia Vargas Avenue, Pasig City. For more information, log on to Butamaru's Facebook page. Free sandwich at Where’s Marcel? Looking for a quick bite? Head over to Where’s Marcel and get a free sandwich. All you have to do is buy two drinks within a week and the 'wich is all yours! This promo runs until March 12. See a list of Where’s Marcel? branches. For more information, log on to Where's Marcel? 's Facebook page.